Fruit: 2-3 oz. 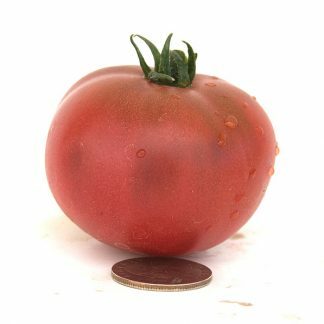 purple, oblate large cherry or small beefsteak. My field notes: Dwarf Mary’s Cherry, 2-3 oz. purple cherry (or small beefsteak might be more accurate). 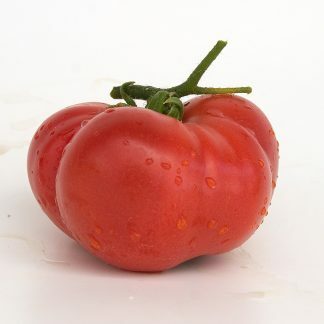 Multi-locules (see photo) typical of beefsteak types. Very strong grower, excellent production and excellent flavor. 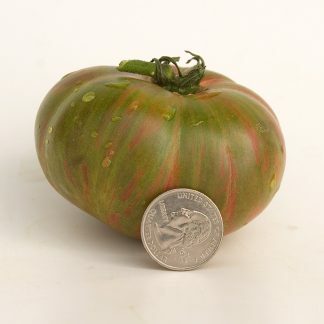 The flavor could compete with any of the larger purple beefsteaks and, as with most purple tomatoes, the flavor is best late in the season. 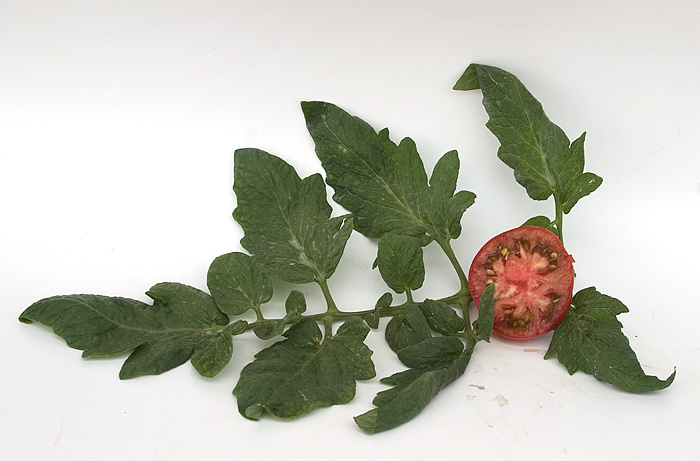 Dwarf Mary’s Cherry was a nice surprise and one of my two favorite trial tomatoes this year. Highly recommended. Dwarf Mary’s Cherry (Hazy family) – 70 days – Vince Lavallo created the Hazy family by crossing Purple Haze with Dwarf Wild Fred in 2010. Susan Oliverson selected, named and stabilized Dwarf Mary’s Cherry, with additional work by Justin Sieglaff. Bill Minkey produced the seed for the initial release. Regular leaf dwarf, 2-3 oz round to slightly oblate purple fruit, high yielding and very flavorful.